Ruling BJD president and Chief Minister Naveen Patnaik Wednesday said leaders of various national political parties visit Odisha during elections and disappear when people are in trouble. "Where were these leaders when natural calamities like cyclone, flood and drought hit Odisha? 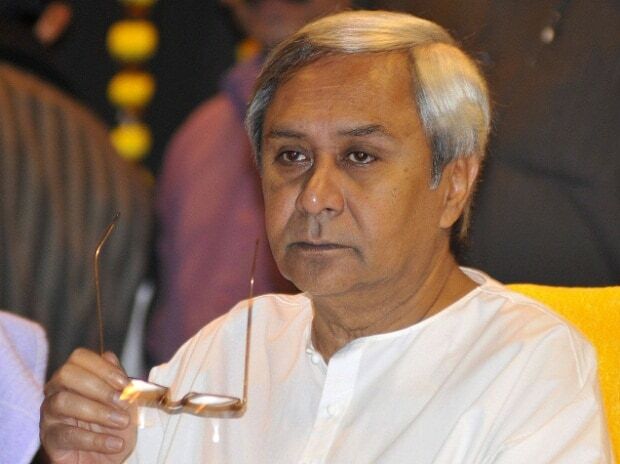 These leaders just shed crocodile tears for the people of the state," said Patnaik, also president of the ruling BJD. The chief minister said these leaders are now coming to Odisha for seeking votes as it is election time. "I am all along with you (people) and will remain so. These leaders will come only during elections, make promises to get votes and not be seen when you are in trouble," Patnaik said at an election rally at Gopalpur in Ganjam district. Patnaik sought to rekindle the memory of the people of the area who were victims of cyclones like Phailin (2013), Hudhud (2014) and Titli (2018) and subsequent floods and landslide. The BJD chief's statement came a day after Prime Minister Narendra Modi expressed concern over the "slow development" of Odisha in Kalahandi district Tuesday. He had appealed to the people to bring change by dislodging the BJD government. "The 4.5 crore people of Odisha are my family," said Patnaik, a bachelor, while attempting to establish an emotional chord with the people of Ganjam, also his home district. He accused the Centre of blocking the release of benefits under KALIA scheme. "Around 40 lakh farmers had got the benefits under the scheme. However, another 20 lakh farmers are unable to get the benefits because it was blocked by the BJP," he claimed. Patnaik asked the farmers to punish the BJP for this. He also asked about the fate of the proposed railway wagon factory at Sitalapalli promised by the Centre. He also alleged that the Centre has never cooperated with the state during calamities, did not release monthly scholarship amount of SC/ST students of the state for two years and did not pay crop insurance to the farmers. Patnaik also sought clarification from the BJP leadership on its failure to provide jobs to youths. Patnaik, who undertook a 60-kilometre long marathon roadshow along Berhampur Lok Sabha constituency comprising seven assembly segments, addressed two public meetings. "The BJD government is playing politics in the name of KALIA scheme. Why the state government did not give list of farmers to the Centre for PM-KISAN scheme," asked BJP state vice-president Samir Mohanty.